This week's featured blogger is Erin @ Chasing Roots. Erin is a wife, mother and writer who lives in Texas. She has a recent post called Making Over Our Traditions . It's about no matter where you are you can still carry on Traditions. I loved this post and I know you will too. Don't forget to stop by and say hello to Erin. I feel like this week has been a week long celebration of Halloween. Our little family loves the holidays so we certainly try to make the best of every holiday. Anyway let's rewind to my Friday Favorites. 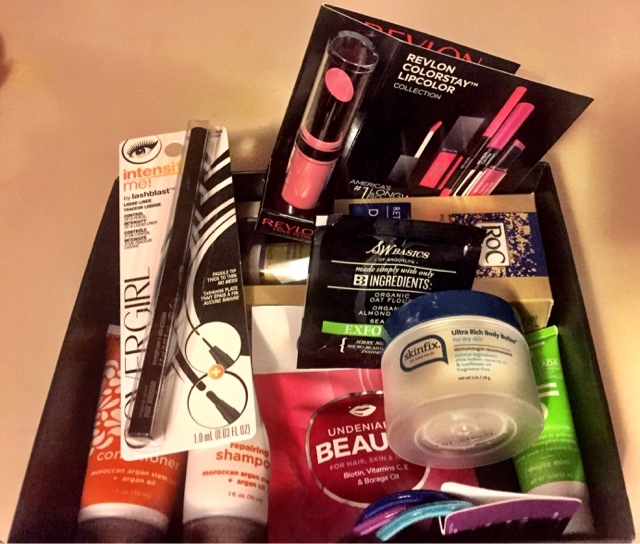 1) I finally received my Target Beauty Box and I absolutely loved it. It had so many wonderful things in it, especially the eyeliner and lipstick. I wish Target would offer these more often. 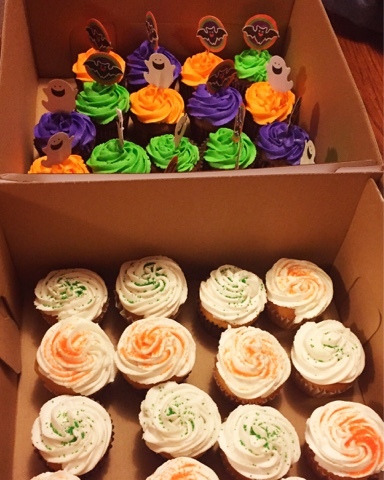 2) It has been a week for making delicious Halloween treats. I made these cute cupcakes for a friend of mine's head start class. 3) Did you see the Pumpkin Patch Pudding that I posted on the blog this week? You can grab the recipe here. 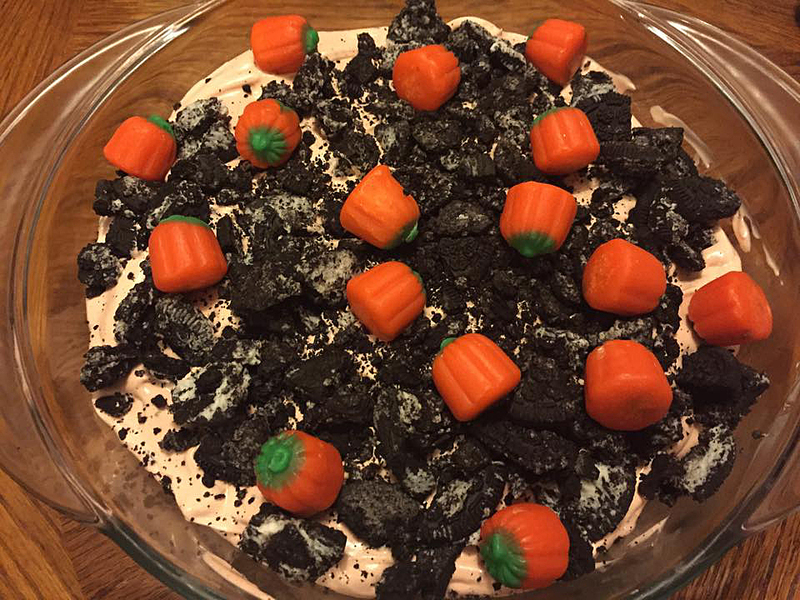 It's the perfect dessert for a Halloween Party, Church or family gathering. 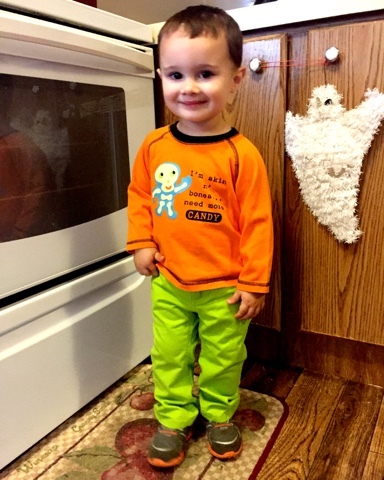 4) Raylan had to have a Halloween outfit of the day this week. He looks so handsome and grown up here. 5) Last night was Trick or Treat. 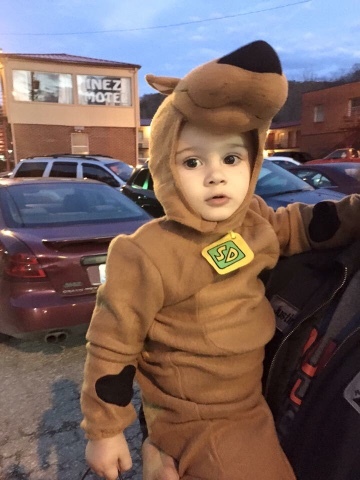 Raylan went as Scooby Doo. It's his favorite right now. He says Dooby Doo all day long. He had so much fun trick or treating and got a good collection of Scooby Snacks. I might be biased but he is the cutest Scooby that I have ever seen. 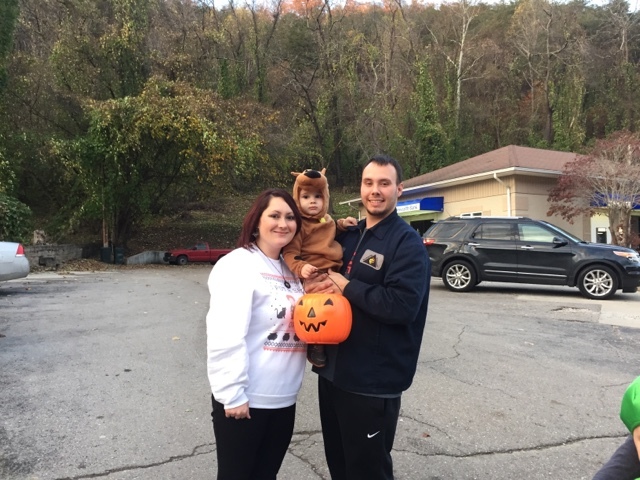 Our little family had so much fun trick or treating. Last year Raylan was so little, but this year we just had a wonderful time. Also please continue to keep my dad in your prayers. He started Kidney Dialysis this week and it has been hard on him. He needs all the prayers he can get. I'm still praying for a complete healing for my dad. With God all things are possible! Thanks for linking up! Have a great and safe Halloween weekend. May God bless you! Halloween Style For The Casual Witch!